Grind the left over millet to a fine paste. Add ragi, curd, some water and again grind to a smooth batter. Remove and mix in wheat flour, salt and seasoning. Make sure there are no lumps. Make sure the batter consistency is perfect for making dosas. Heat a nonstick dosa pan, pour batter and spread. Cook by pouring oil on sides. Once the bottom gets cooked, flip and cook the other side. 1. Any leftover millet like little, kodo, foxtail can be used instead of barnyard. 2. 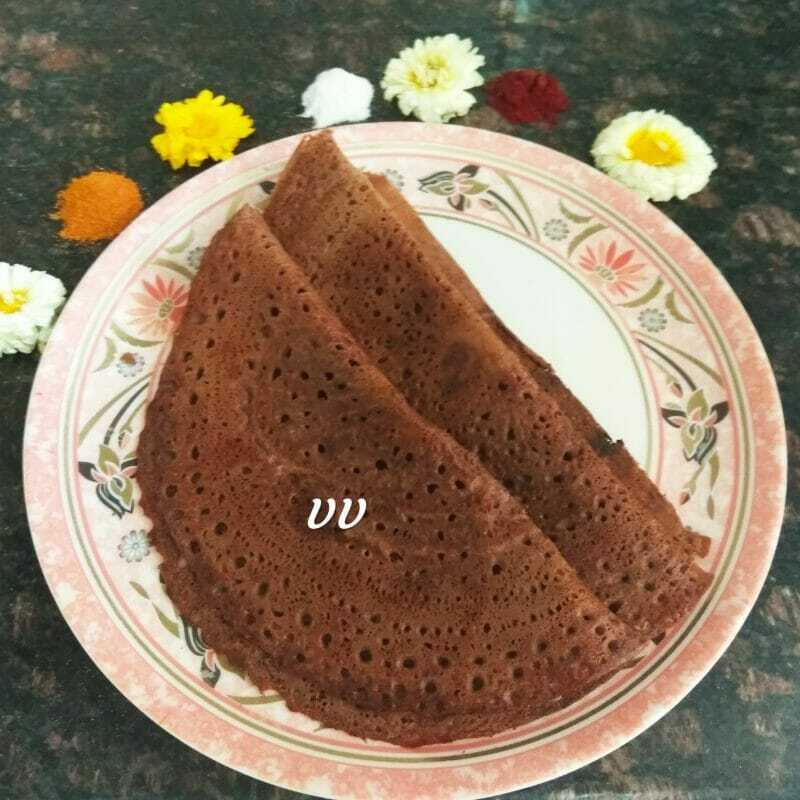 Ragi can be replaced with any millet flour of your choice.